San Francisco, California – December 2, 2018. San Francisco Dental Implants is proud to announce timely updates to its informational pages for teeth-in-a-day and Trefoil dental implants for its San Francisco Bay Area patients. The new updates arrive near the end of the 2018 and at a moment when Bay Area residents could be searching for details about health improvement for the New Year. The updated pages can be found at https://www.sfdentalimplants.com/one-day-teeth/ and https://www.sfdentalimplants.com/trefoil/. San Francisco patients can review options for teeth-in-a-day, full mouth dental implants, and Trefoil dental implants. Individuals might have specific needs, and it may be smart to meet with Dr. Rabinovich for a one-on-one visit to determine the best path to a healthy, long-term smile. 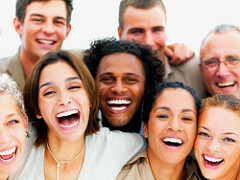 Persons seeking a consultation on dental implants in San Francisco can visit https://www.sfdentalimplants.com/. Those with other oral surgery issues can visit the companion website at https://www.oralsurgery-sf.com/. A common New Year’s Resolution can often include the desire to improve one’s health. Bay Area residents might believe the best way to achieve a better quality of life is through diet and exercise. San Francisco residents may not realize gum disease and tooth decay can lead to several long-term health issues. A healthy mouth could be the smartest path to a healthier lifestyle in 2019. It might be the right time to correct bad teeth and gums by reviewing options such as Trefoil dental implants and teeth-in-a-day oral surgery. For these reasons, San Francisco Dental Implants has updated several pages for the Bay Area community. Newly revised pages can provide helpful details about several choices of dental implant surgeries. A San Francisco residents might discover broken or missing teeth the reason for poor health. Gum disease and teeth beyond repair could benefit from teeth-in-a-day dental implants. Persons suffering from bone disease in the jawline might find Trefoil implants the best choice. A one-on-one consultation with a top oral surgeon might be the best path to a San Francisco local’s overall health in 2019. This entry was posted in Press Release and tagged Bay area dental implants, dental implant, Dental Implants Center, Teeth in a Day, Trefoil Dental Implants on December 2, 2018 by Lee McDonald.